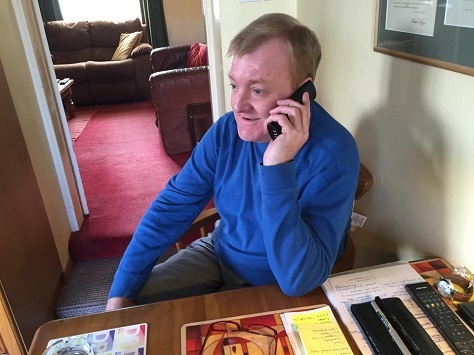 It’s a stunning thing to wake up to the news that Charles Kennedy, the former leader of the Liberal Democrats, has died at the relatively young age of 55. 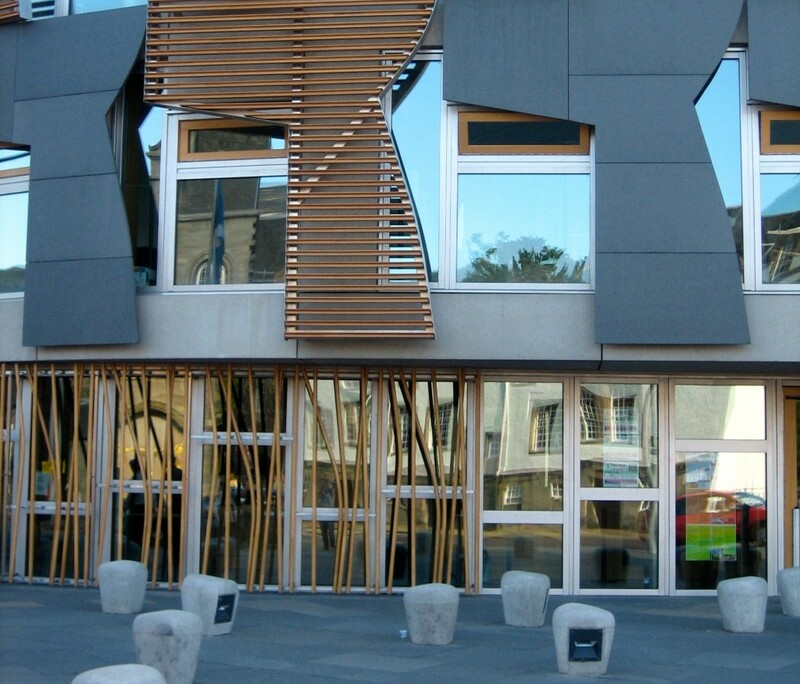 The Inverness-born Kennedy represented Ross, Skye and Lochaber since 1997, and who represented a similar constituency in northern Scotland from 1983, until the general election just over three weeks ago. 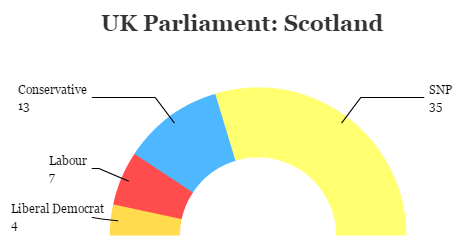 The Scottish National Party (SNP) swept away all but three of Scotland’s constituencies, including Kennedy’s, a shock result that had more to do with the dynamics of Scottish nationalism in the post-referendum era, not Kennedy, who remained widely popular. His death will deprive the Liberal Democrats of someone who could have helped the party rebuild its presence in Scotland. As LibDem leader between 1999 and 2006, Kennedy served as a key transition between the beloved Paddy Ashdown and Nick Clegg, the latter who led the party on an economically liberal turn in the 2010 elections and ultimately brought the Liberal Democrats into government. In May, however, the Liberal Democrats were wiped out — in England and Scotland alike — after widespread disappointment among their voters. The Liberal Democratic caucus reduced from 57 members of parliament to just eight. Notwithstanding the Cleggmania of 2010, the high-water mark for the party was actually the 2005 election, when Kennedy’s Liberal Democrats won 62 seats. As leader, Kennedy was one of the few opposition voices to prime minister Tony Blair’s decision to join the United States in its invasion of Iraq. Despite grumblings from some Labour MPs, including the late former foreign minister Robin Cook, Blair’s decision to join the Iraq invasion won at least begrudging support from his own party and quiet acquiescence from the Conservative Party. It’s no exaggeration to say that, while the Tories fumbled in the electoral wilderness, shifting leaders from William Hague to Iain Duncan Smith to Michael Howard in the mid-2000s, Kennedy was often the de facto leader of the opposition, and he was certainly the undisputed leader of the anti-war movement in 2003 and beyond. It’s true that Kennedy’s leadership ended when it became clear that he had a problem with alcohol. That he admitted it, sought treatment and remained a beloved elder statesman within the Liberal Democratic camp speaks to his strength — even Blair, in his memoirs, spoke of the pressure that drove him to problem drinking at Number 10. Notwithstanding former Scottish first minister Alex Salmond’s comments, now being widely derided, suggesting Kennedy might have been a closet nationalist, the universal response across the country today is praise for a charismatic leader who took principled stands. 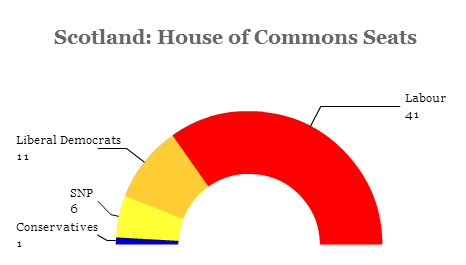 The party holds a leadership election on July 16, with the more leftist Tim Farron generally leading his opponent, the more centrist Norman Lamb. That the winner of the contest will try to restore the party’s fortunes without the talents of Charlie Kennedy, however, amounts to a tragic setback. 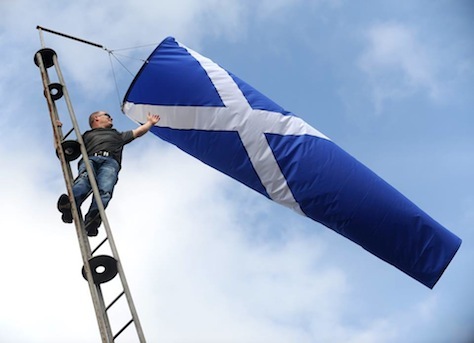 A poll late last week confirmed that, if survey trends hold, it will be very difficult for the Labour Party to form a new government without the support of the pro-independence Scottish National Party (SNP) after the United Kingdom’s May 7 general elections. Presumably, that makes Labour leader Ed Miliband’s declaration this week ruling out any coalition with the SNP somewhat awkward with the reality that the SNP may win between 40 and 50 of Scotland’s 59 seats in the House of Commons, many of which are currently held by Labour MPs and which for years were reliable seats on the Labour backbenches — so reliable, in fact, that none of those 59 constituencies changed parties between the 2005 and 2010 general elections. 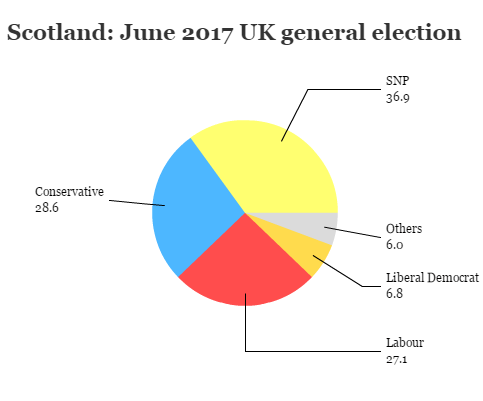 With polls showing that Labour’s narrow lead against the governing Conservative Party has vanished, the SNP earthquake means that Labour is unlikely to form a government without at least some form of SNP support and, notably, Miliband didn’t rule out an informal arrangement whereby the SNP supports a Labour minority government. Nevertheless, just six months after Scottish voters narrowly rejected independence, they are now set to determine the balance of power throughout the entire United Kingdom. 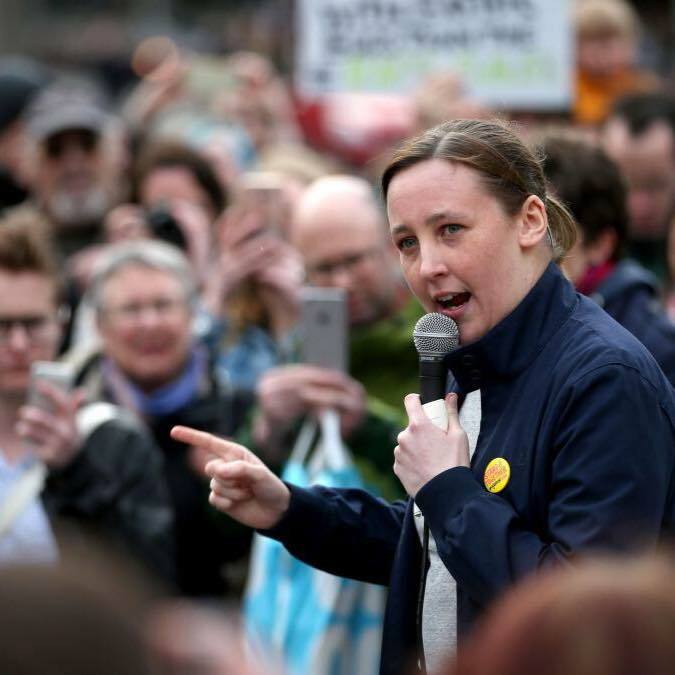 Post-referendum, Scottish voters are now flocking to the SNP not only in regional politics (the SNP controls a majority government in the Scottish parliament) but in national politics as well. 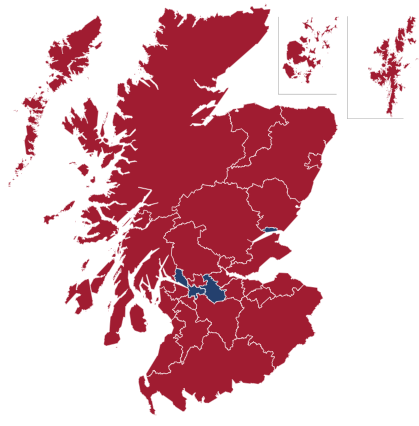 With the SNP winning nearly half of the Scottish vote and with a lead of around 20% against Labour, it could turn Scotland almost universally yellow (the SNP’s color), wiping out Labour’s Scottish heartland and depriving the Liberal Democrats of many of their 11 seats as well, nearly 20% of the LibDem MPs in total. Following the historic vote on Scottish independence, British prime minister David Cameron emerged early Friday morning to deliver remarks praising Scottish voters for keeping the United Kingdom (‘our country of four nations’) together. 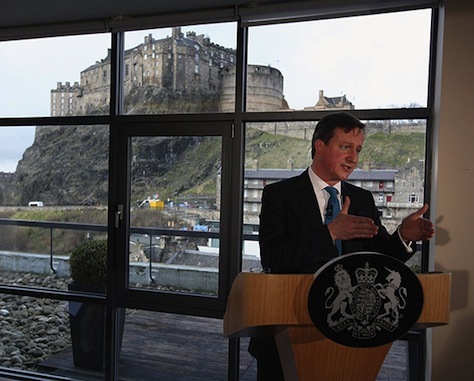 In tying the issue of the promised Scottish devolution to the West Lothian question, Cameron was hoping to calm his own backbenchers, who, even before voters cast ballots in the September 18 referendum, briefing against the unfairness of the ‘Barnett formula,’ whereby Scottish residents receive greater per-capita government subsidy than English residents. Salmond said that no voters in the referendum would feel they had been “misled”, “gulled” and “tricked”. The first minister told the Sunday Politics on BBC1: “I am actually not surprised they are cavilling and reneging on commitments; I am only surprised by the speed at which they are doing it. They seem to be totally shameless in these matters. The prime minister wants to link change in Scotland to change in England. He wants to do that because he has difficulty in carrying his backbenchers on this and they are under pressure from Ukip. Cameron strongly hinted that his approach would limit the ability of Scottish (or Welsh or Northern Irish) MPs to vote on matters that apply solely to English legislation. That echoes calls from other high-profile Conservative leaders like chief whip Michael Gove. Who is Nicola Sturgeon? 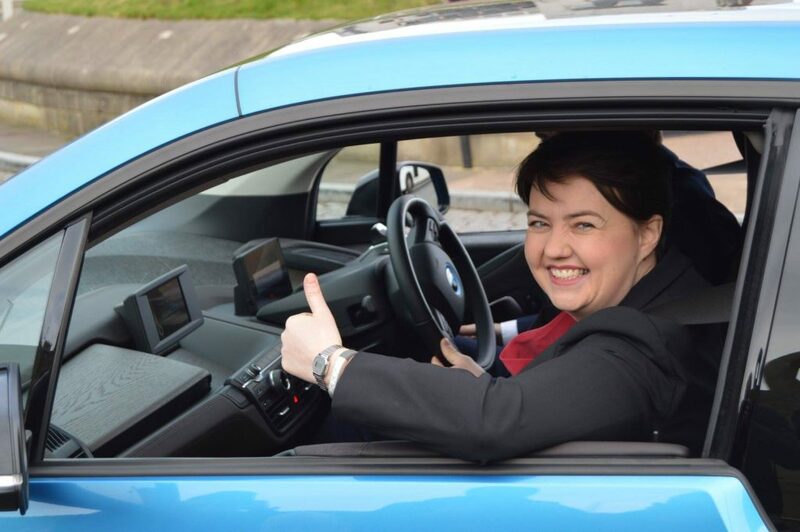 Meet the star of the SNP’s rising generation. 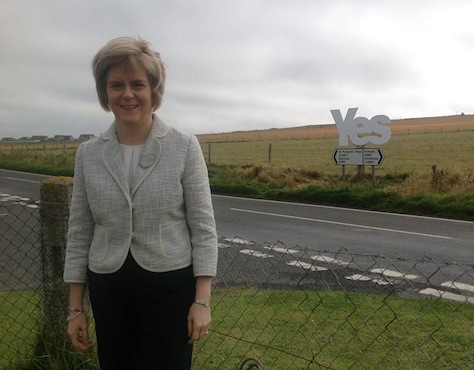 If there’s one person who will benefit no matter how Scotland votes in its too-close-to-call independence referendum on September 18, it is deputy first minister Nicola Sturgeon, who has taken a high-profile role leading the ‘Yes’ campaign that supports Scottish independence. When Alex Salmond, the leader of the Scottish National Party (SNP) became first minister in May 2007, just eight years after Scotland’s initial elections for its local parliament in Holyrood, Sturgeon became his deputy, and she has served as the deputy leader of the SNP since 2004. If Salmond suffers a defeat in next week’s referendum, the 44-year-old Sturgeon, a popular figure in Scotland, might soon replace the 59-year old Salmond in government. Some SNP deputies are already arguing that, if the ‘Yes’ camp doesn’t win next Thursday, Salmond should resign and allow Sturgeon to become first minister, in much the same way that Tories in Westminster are arguing that British prime minister David Cameron would have to step down if the ‘Yes’ campaign wins. With polls now showing that the ‘Yes’ campaign has essentially caught up with the ‘No’ campaign, a close defeat may yet be a victory for Salmond. As in Québec in 1980, a narrow loss wouldn’t foreclose another possible vote in a decade’s time. But it might be difficult, after losing Scotland’s best chance at independence, for Salmond to lead the SNP into a campaign for a third consecutive term in the next elections, which must be held before 2016. Moreover, another term as first minister is a letdown from the much headier notion of becoming sovereign Scotland’s first prime minister. On the other hand, if the ‘Yes’ camp pulls off the victory that just a week ago seemed out of its grasp, Sturgeon would almost certainly rise to deputy prime minister in an independent Scotland, just as much the heir apparent to Salmond then as now. As women flock toward independence, according to many polls, Sturgeon may be the ‘Yes’ campaign’s secret weapon. The bottom line is that Sturgeon is the favorite to become, within the decade, either Scotland’s next first minister (within the existing UK system) or its second prime minister as an independent country. In light of all of the questions — including Scotland’s currency and EU membership — that would be settled in its first chaotic years as an independent nation-state, Scotland’s future leadership is one of the key variables in whether it would become viable as a new state. 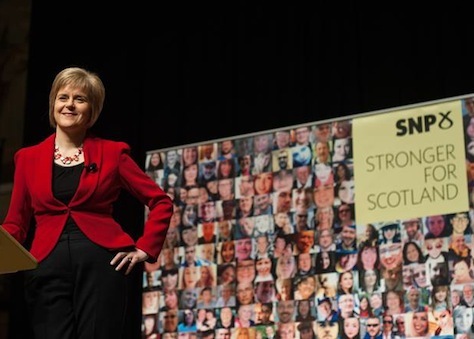 So what exactly would Sturgeon bring in the way of political skill and states(wo)manship? 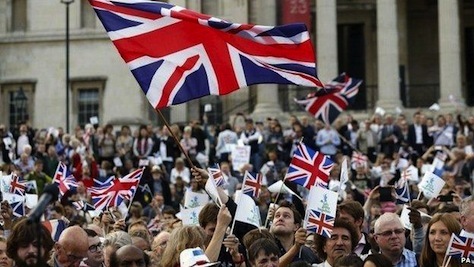 Why would an independent Scotland even want to keep the pound? Who cares about the pound anyway? 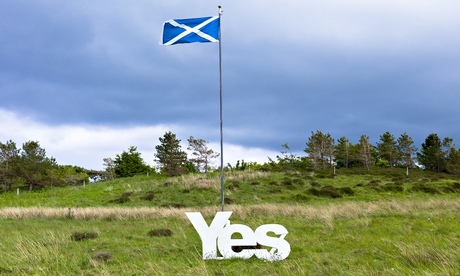 In the campaign for Scottish independence, key ‘Yes’ camp leaders consistently argue that a sovereign Scotland could retain the British pound as currency, and they’ve decried statements from British officials that Scotland wouldn’t be permitted to use the pound in the event that Scottish voters opt for independence in the September 18 referendum. 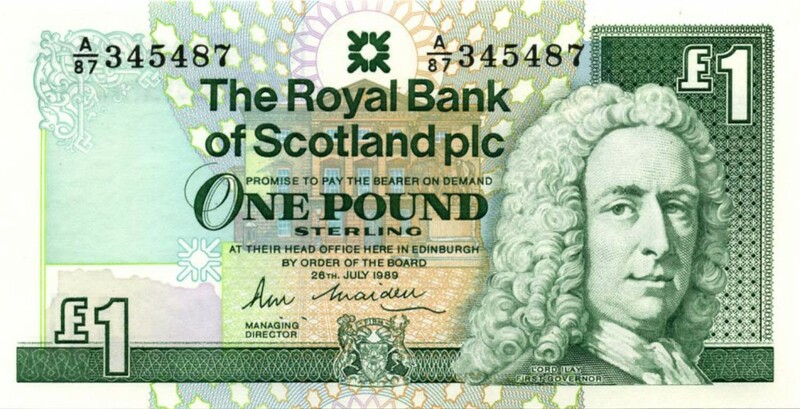 But putting aside whether, as a technical matter, Scotland would be able to adopt the pound, the greater issue is why it would actually want to do so — either in a formal currency union with the rest of the United Kingdom or by informally adopting the pound sterling as Scotland’s currency (‘Sterlingisation’). 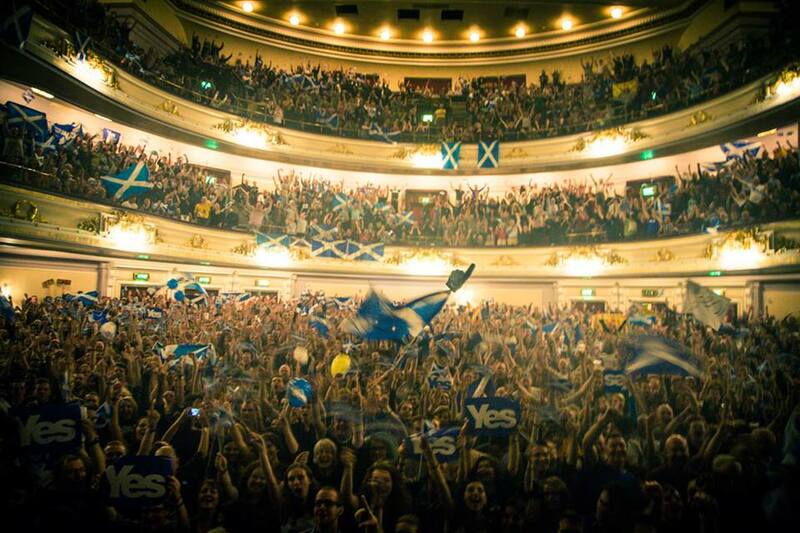 Even though polls show the ‘Yes’ campaign narrowing the gap with the ‘No’ side, (the latest YouGov survey, taken between September 2 and 5, gave the ‘Yes’ camp its first lead of 47% to 45%, with 7% undecided), almost every poll in the last year shows more Scottish voters opposed to independence than in favor of it. If the ‘Yes’ side falls short, one of the key questions will be whether the decision to embrace the pound as an independent Scotland’s currency was wise as a strategic matter. But if the ‘Yes’ side carries the referendum, Scotland’s first minister Alex Salmond will have to confront what kind of independence he’s actually won for a new country yoked on Day One to monetary policy dictated by the Bank of England. It’s odd that the campaign’s fight over the pound has become such a central debate, but it’s possibly even odder that Salmond would cling to the pound (and other indicia of the union, such as the British monarchy) in his campaign for independence. 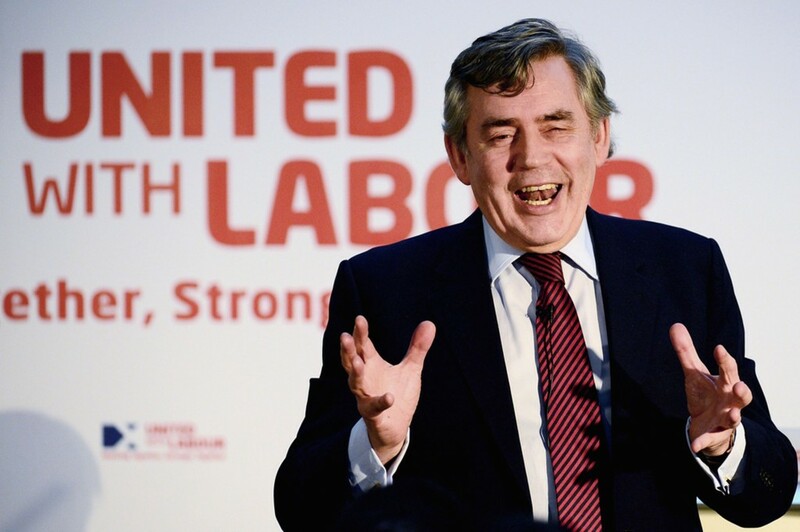 Pity Gordon Brown, the long-suffering, long-plotting chancellor who assumed the British premiership only after Tony Blair’s three successive terms tested the British electorate’s patience on everything from Iraq to civil liberties. By the time Brown finally wrested the keys to No. 10 Downing Street from Blair, the ‘New Labour’ project was in serious political trouble, and Brown, lacking the easy charm of either his predecessor or then-opposition leader David Cameron, waged a doomed, if feisty, 2010 general election campaign. Unlike Blair, Brown didn’t take a high-profile role on the speaker circuit or announce a global initiative to bring about Middle Eastern peace. 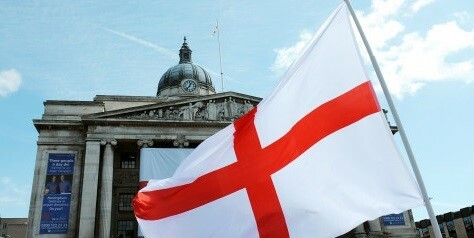 He mostly just went back to Scotland, where he wrote a wonky tome on reforming the global financial system. Brown’s strong reputation today, more so abroad than at home, reflects his adroit handling of the 2008-09 financial crisis, when he prodded other European and US officials to follow his aggressive and proactive example. Today, he remains the MP for Kirkcaldy and Cowdenbeath, a southern Scottish constituency in Fife. 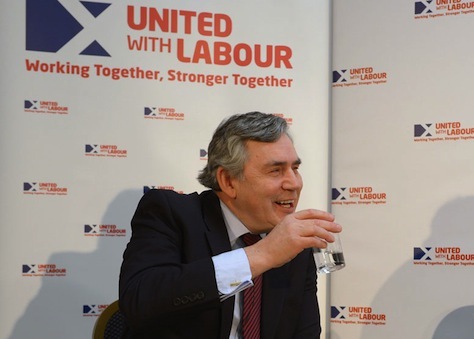 Accordingly, it’s no surprise that Brown is emerging as a key leader of the campaign against Scottish independence — to the surprise of many both north and south of the Tweed. I write in The National Interest on Tuesday that as the pro-independence ‘Yes’ campaign narrows the gap with unionists in advance of the September 19 referendum, and it becomes more feasible that Scotland could become an independent, sovereign country, the United States needs to start thinking about a cohesive foreign policy regarding Scotland. 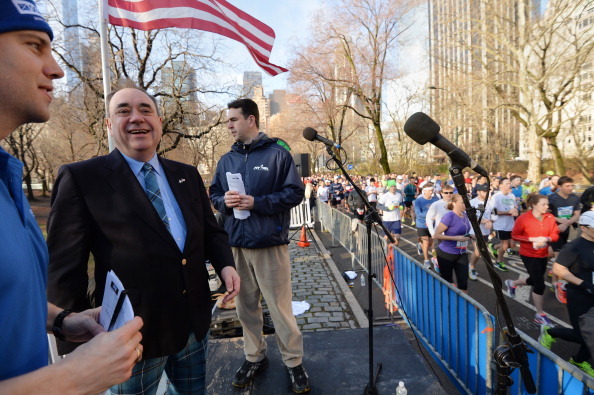 First minister Alex Salmond (pictured above in New York earlier this month) is leading the ‘Yes’ campaign, and he’s been a thorn in US-British relations for quite some time — both to US president George W. Bush (Salmond vehemently opposed the US invasion of Iraq) and to Barack Obama (Salmond’s government in 2009 released Abdelbaset al-Megrahi, convicted for his role in the 1988 bombing of Pan Am Flight 103 over Lockerbie, on health grounds). Though polls still show that the ‘No’ camp is leading, U.S. policymakers should be taking the possibility of an independent Scotland more seriously and, accordingly, preparing for the possible repercussions of a successful ‘Yes’ vote for U.S.-Scottish relations. No third country has a greater stake in the outcome of the Scottish vote than the United States, which would have to reconfigure its ‘special relationship’ with what presumably would be the ‘United Kingdom of England, Wales and Northern Ireland,’ while formulating a wholly new relationship with an independent Scotland. It’s a relationship that the United States has never had to consider seriously, given that when Scotland and England merged with the Act of Union in 17o7, the original American colonies were still sixty-nine years away from declaring independence. Do read the whole piece here. Photo credit to Stan Honda / AFP / Getty Images.